Enith Upari Irarica is a 40-year-old woman who lives with her husband and children in the San Jorge community of Iquitos, Loreto. She has always been very committed to her family and dedicated all of her time to raise and support her children, but Enith’s biggest dream was to do something in benefit of her small community and get involved with activities related to civic participation. She never felt very inspired to make her dream come true until she noticed that more problems in her community began to arise and became the norm, such as violence as the preferred method of problem-solving in families, and abuse of power as the form of leadership employed by community officials. Enith saw how abuse of power was especially evident at community assemblies, where women’s ideas were sabotaged after every proposal. To make matters worse, women’s participation was never included in the official meeting minutes, making them feel invisible and rejected. Eventually, the rejection left women without hope and they stopped trying to participate. Tired of police intimidation, Enith came up with a creative solution: she would volunteer as a police officer at one of the assemblies. She went to the municipality to propose her idea, but she was greeted with laughter. She was told that only men could be police officers and Enith was both humiliated and shocked that government officials would treat a community member so cruelly. The problems in Enith’s community continued for years until one day an opportunity for change arose. Enith was invited to attend a leadership workshop organized by Minga Peru. There, she began her training as a community leader (promotora). Throughout every workshop, she was given tools to actively participate in her community; she learned about the prevention of diseases, human rights, environmental conservation, and communication at home. For the first time in her life, Enith felt empowered and that her voice and opinions matter. 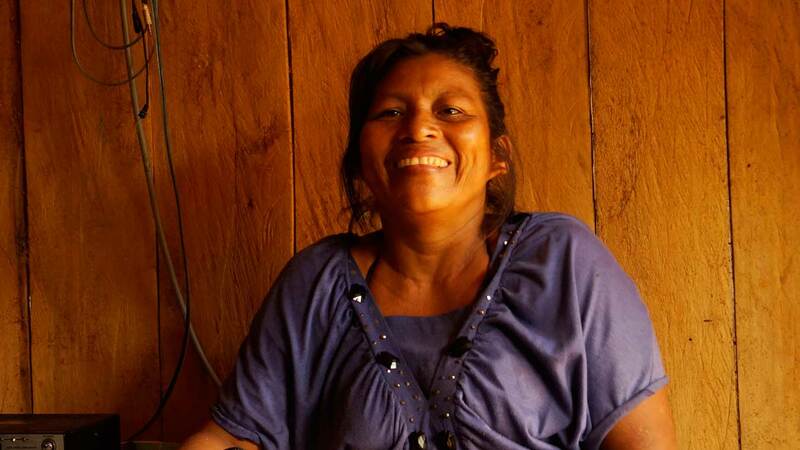 Enith was not the only woman from her community who received Minga Peru’s leadership training. After the workshops, all the women of the San Jorge community who attended felt so empowered and motivated by what they learned, that they decided to come together to demand respect in the community assemblies. They demanded that their participation was recorded in the official meeting minutes and as a team, they managed to be heard. After that, the municipality approved Enith to participate in the police force, and today, Enith serves as the first woman to be a police officer for the municipality. She also serves as the president of the “Vaso de Leche” program, which aims to reduce child malnutrition in the community. As a community leader, Enith has discovered the importance of serving as a positive role model and continues to seek opportunities to lead. Community leaders, like Enith, are women leaders who are creating a social impact in the Peruvian Amazon, by actively participating and assuming leadership roles in their own communities. Just as the women of San Jorge managed to exercise their rights through teamwork, women community leaders manage to build their own networks, where they discuss topics that they learned through participating in Minga Peru’s leadership workshops. To date, Minga Peru has provided leadership training for over 1,200 female community leaders who, by creating their own community networks, have made a tremendous impact in the lives of 24,000 women living in the most remote communities of the Peruvian Amazon. 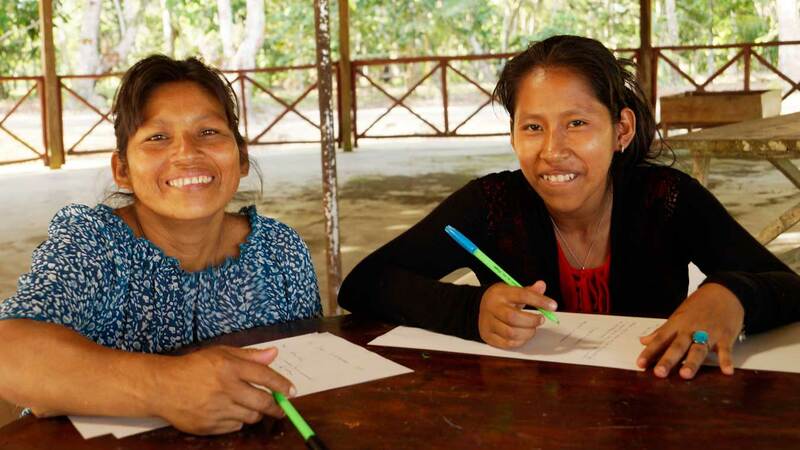 You can help more women from rural communities of the Peruvian Amazon have a voice and demand their rights to participate in their communities, and ensure they live in a healthy environment with equal opportunities for all.